Have mat, will travel. That should be the slogan for Gorilla Yogis. Two Minnesota yoga teachers hatched the fundraising concept within the past year. Their mission is to raise money for various causes by taking yoga out of the studio and bringing it unexpected places and spaces. Check out the recent event at the historical James J. Hill mansion in St. Paul, Minnesota. What started as a local deal is now picking up steam nationwide. 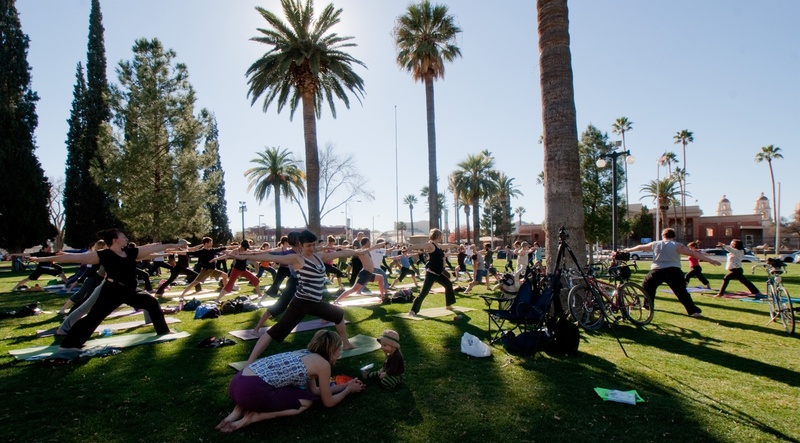 Recently, there was a Gorilla Yogis event at Armory Park in Tuscon, Arizona to help raise money for the victims of the shooting spree. Costa Rica will be hosting its first Gorilla Yogis event this upcoming weekend to benefit Nosarawildlife.com which helps save the Howler monkeys. 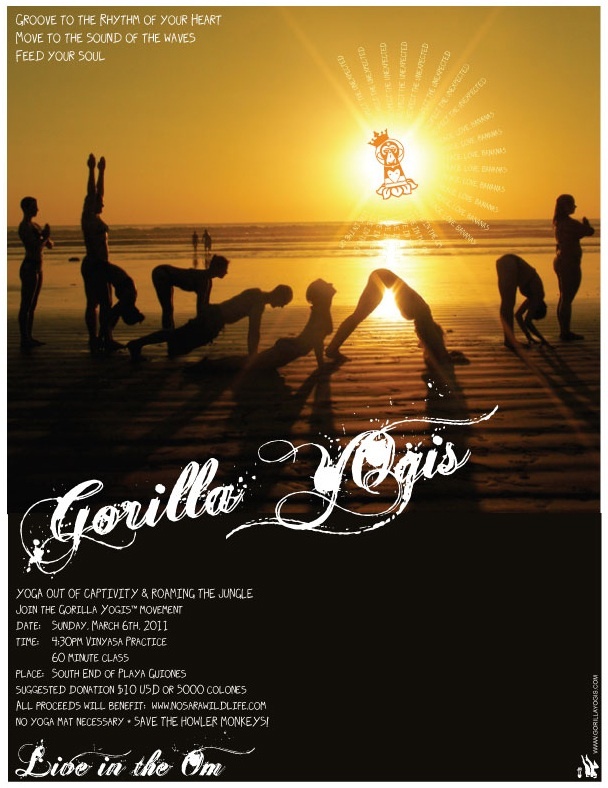 Gorilla Yogis founders have also gotten calls from New York and LA. For now, the money raised at each event is earmarked for different charities of the organizers or hosts choosing. The event at the James J Hill House benefited the Minnesota Historical Society. Next month’s Minnesota event will be at First Avenue, March 19th to raise money for the Jeremiah Program. A live band will be performing, giving a whole new meaning to Dancer’s Pose. What’s cool about the Gorilla Yogis concept is you get to see places you may have never seen before, or you get to see these places from a fresh perspective. Having participated in the James J Hill event, I can tell you first hand how great it feels to connect with your community through breath and movement. If you would like to get on board for future events you can visit the website gorillayogis.com. ← How to keep your private life private! This is one step. This is really cool. I wish they had been around during the Ghandi days. Seems fitting. All the best. Hi Piper… Thanks for checking in. So happy to hear from you. Maybe Gorilla Yogis will pop up in your area soon.